Thanks to Highland Council's Carbon Clever fund, a popular local cycling route is getting some promotion. A new map and information leaflet about the loop round the Beauly Firth has just been produced, with signage planned for later in the year. 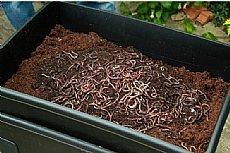 The project has been organised through Muir of Ord Community Council. The 26 mile route takes in beautiful sea and mountain views, archaeological remains including crannogs and fish traps, other fascinating built heritage such as Redcastle Pier and Wardlaw Mausoleum of Outlander fame, rich birdlife, and some great options for the essential coffee and cakes. "Lots of people cycle round the Firth already - it's a lovely route with lots to see - and we wanted to spread the word a bit. As well as encouraging people to cycle the whole 26 miles, we want folk to try sections of the loop such as the beautiful shore road from North Kessock to Redcastle, to combine bike and train using the stations at Muir of Ord and Beauly, and to explore some off road options and alternative back roads." "For regulars and first-timers alike we hope that the leaflet helps people to get more out of their cycle by highlighting some of the points of interest along the way. And there are great places to stop for refuelling in Beauly, Muir of Ord, North Kessock and of course Inverness." "We're delighted to have supported this initiative which we hope will see more people out on bikes, for leisure, for commuting, for shopping or just for going out for a coffee." The Loop map has been produced by award-winning cartographer Helen Stirling of Inverness, who has also worked on maps for the Black Isle, Inverness and Loch Ness area, Nairn and many others. Copies of the leaflet are available from Lizbeth Collie of Black Isle Bicycles on 07799 183572 and from various local businesses around the Loop route. "The Renfrew Rose has arrived and begun a regular service ferrying cars and passengers between Cromarty and Nigg. The ferry will depart Cromarty on the hour and half hour from 8.00am until 6.00pm daily. It will return from Nigg every 30 minutes at a quarter past and a quarter to the hour. * Fares range from a single journey for car and driver at £9.50 to a return ticket for car and family at £29.00. The mv Renfrew Rose was built by MacCrindle Shipbuilding Ltd Ardrossan in 1984 with an original length of 53.9', breadth of 17.8' and draught of 6.2' depth. She was operated by Strathclyde Partnership for Transport (SPT) as the Renfrew to Yoker Ferry until 2010. Most recently, she was the Burtonport to Arranmore ferry in Co. Donegal. *Times can be affected by weather and tides." "Ferintosh Bus Link Trial. Please spread the message to your neighbours who need public transport to get around that this Bus Link trial is running until the end of September to test the value of being able to call a car to take you to the frequent bus services on the A9 and A835; and be collected." A new initiative by Ferintosh Community Council to provide improved access to buses for residents started on Monday 6th June. This new initiative, the Ferintosh Bus Link, is being run in partnership with Stagecoach and the Black Isle Community Car Scheme until the end of August [now September]. The results of the trial will then be assessed to see if this could become a permanent service. Residents in the Ferintosh area of the Black Isle will be able to enrol in the new scheme which will provide a direct link from their home to a bus stop on the A9 or A835, provided by volunteer drivers from BICCS. The trial scheme will offer the home-to-bus-stop connections for just £1 one-way or £2 return. Ingrid Gunn of the Cromarty-Nigg Ferry Group said "We are over the moon to hear that the ferry will be back this year. 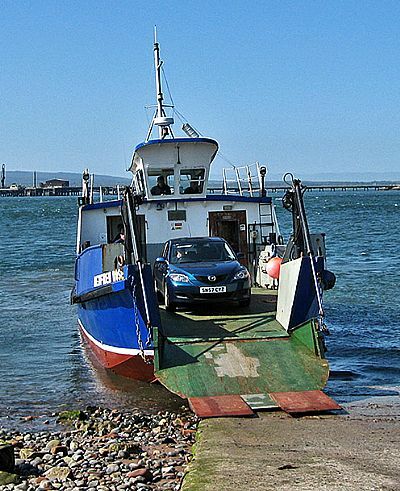 The communities on both sides of the water felt the effect of the ferry not running last year and are looking forward to welcoming Highland Ferries to Cromarty and Nigg" (Chatterbox) and confirmed on 5 June "it will start this Tuesday at the latest". The ferry will run a half-hourly service from June to September, and will be able to carry three cars and 12 passengers. Highland Council has decided to award a contract to Highland Ferries to reinstate the Cromarty – Nigg ferry after a gap of a year. The new contract will provide a half-hourly service every day from June to September. The ferry will be able to carry 3 cars and 12 passengers. The ferry forms part of the National Cycle Network Route 1 from Dover to Orkney. The ferry is also expected to become part of the North Coast 500 route around the northern Highlands. Highland Ferries have been given until 20 May to confirm that they have been able to recruit a crew and complete the purchase and certification of the vessel. A working group of community representatives in the Black Isle and Easter Ross has supported the restoration of the ferry and emphasised its contribution to the local tourist economy. Highland Ferries have operated the passenger ferry between Fort William and Camusnagaul since 2012, but this is their first route outwith Lochaber.